Having a mentor like Michael Jordan isn't too shabby, considering that the talent on the receiving end is Denver Nuggets star Carmelo Anthony. 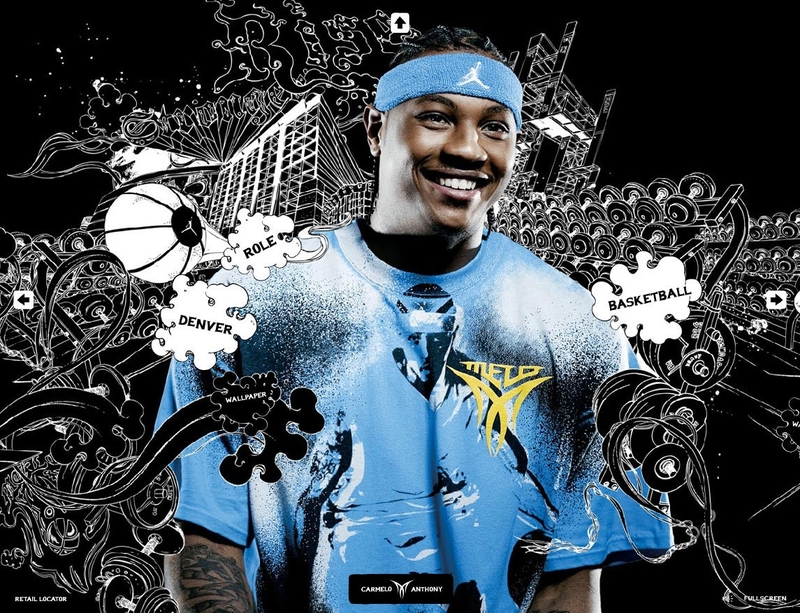 Promoting his new M4 brand of kicks on a site created by Canadian-based branding firm Blast Radius, the high-scoring pro baller gives visitors several insights into his thought process, including his views on on basketball, which he says "is my life," Denver, the M4 shoe and the game itself. Using graffiti art as a backdrop, the site lets visitors click and drag to get a rotating 360-degree view of Carmelo in various video installments.